It’s hard to believe that the 76th annual Golden Globe nominations announcement event is already here. But, it most certainly is, and Danai Gurira and Leslie Mann both showed up to help applaud the nominees on Thursday (December 6) in Beverly Hills, California. 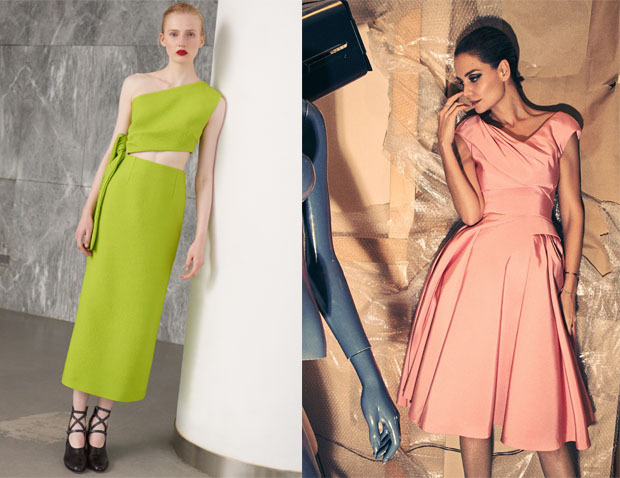 Danai Gurira: The lime-green hue of this Emilia Wickstead Resort 2019 look is a revelation on Danai, as is the asymmetric midriff-baring design that subtly but effective flaunts her whittled middle. Christian Louboutin ‘Phoebe’ sandals and those fab braids finish it all off with a final sweep of perfection. Leslie Mann: I have a hard time getting on board with the pumpkin-orange pumps with this Zac Posen Fall 2018 blush-pink frock. However, I could see a raspberry-red sandal working well to enhance the retro-vintage cues of the dress mixed with modern femininity.